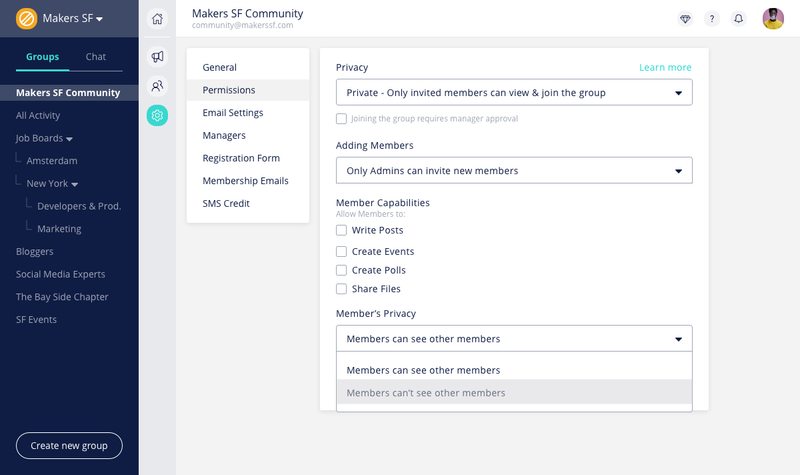 This would enable members to view the profile of other members, start chat conversations, view the attendee lists in events and search members in the member directory. You can also highlight information about your members in the member directory. Go to the Members section in the Group Lounge and click Edit Cards. Choose the fields you'd like to be visible to the members. Remember The field's settings must be visible to 'Everyone in the group'. 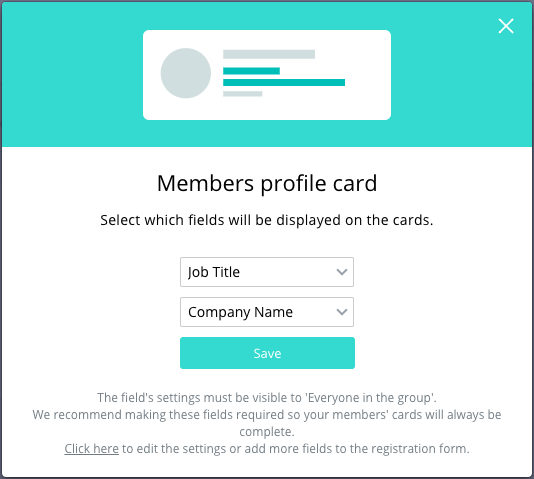 We recommend making these fields required so your members' cards will always be complete. You can edit the group settings or add more fields to the registration form to ensure all your desired fields are available. 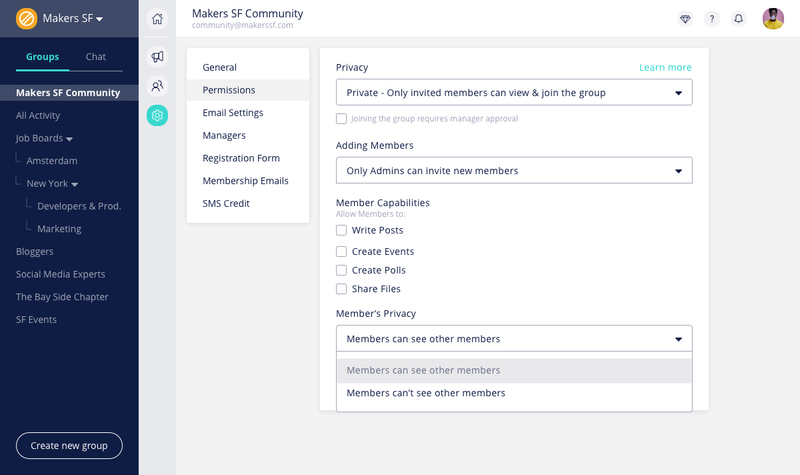 Note - If you wish to hide specific information about members you can always customize the privacy settings of each field in the group's Registration Form. Members would not be able to view or contact other members in the group. All members profiles will be hidden and members will not have access to the member directory.